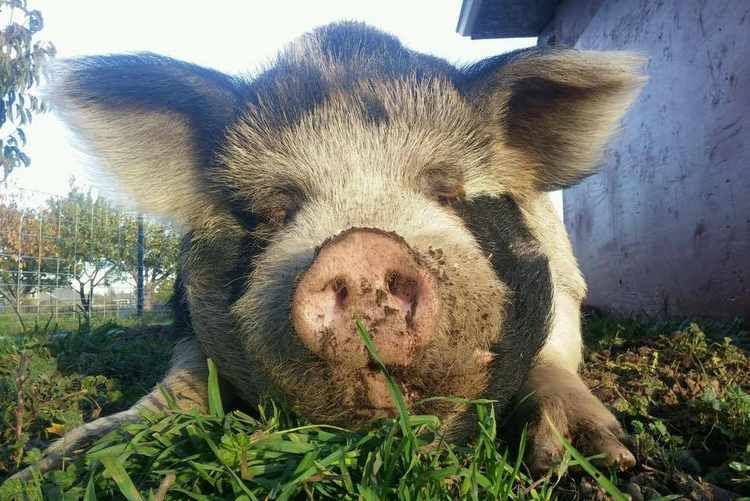 Pigs are a big part of our rescue family at Noble Animal Sanctuary. Pigs are very misunderstood and the subject of much misconception. Pigs are one the most abused and neglected animals on the planet. They want the very same things that we want; a safe, comfortable place to sleep, regular access to food, to be healthy, freedom to explore, have family and friends, to feel love and joy. There are very few places that rescued pigs can go. Noble Animal Sanctuary is currently home to ten pigs. They have the freedom to roam and graze. We supply them with fresh hay bedding, healthy meals and snacks and lots of attention. 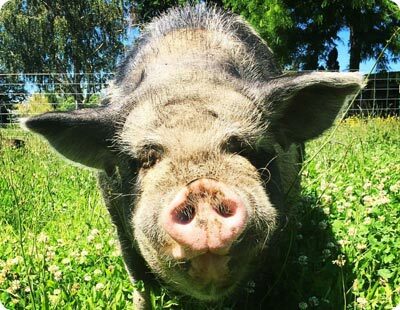 We love our pig friends and want the world to know and love pigs in the way we do. It is our mission to educate the public about the uniqueness of pigs and bring to light the abuses that pet pigs and farm pigs endure. 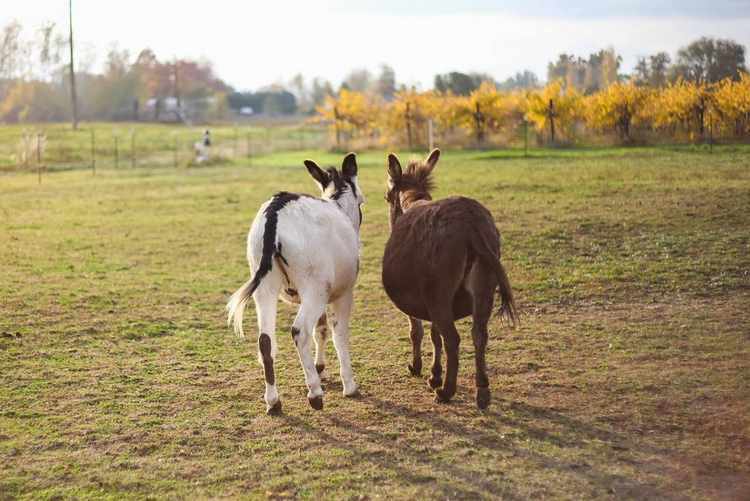 Noble Animal Sanctuary’s 10 acre farm is the home to several equines. Equines are well known as human companions. It is not well known that the people in the USA send over 100,000 horses for slaughter in Mexico and Canada for human consumption, pet food, and other products shipped all over the world. Most of our equines were rescued from a kill-pen or on their way to a kill-pen. (A kill-pen is an auction house. Unsold horses are shipped to slaughter.) Now our horses and mini-donkeys have a safe place to call home, graze, run, and have friends. Our newest addition is Becky-Jo. Becky Jo was born at the sanctuary on March 08, 2017. When we rescued her mother Layla we did not know she was pregnant. Noble Animal Sanctuary has a small flock of chickens. Our rooster was abandoned in a public park, and the hens were going to culled (killed) to reduce the size of flock at their previous home. Here our chickens have a large coop and have limited free range on the property. We love getting to know each one, their likes and dislikes, and observing their behavior as a flock. We spoil them with a wholesome variety of fruits, vegetables, nuts and seeds. At a sanctuary, chickens are not used for their eggs. In fact, their eggs are fed back to them for the nutritional value. Our future coop will house a large flock near the vineyard, where they can dine on the insects and weeds on the vineyard floor. 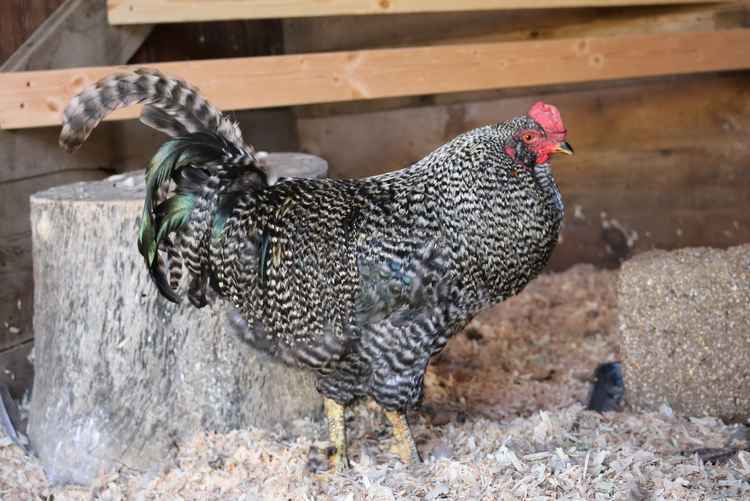 You can learn more about our chickens here. The three current Noble Sanctuary Dogs belonged to us before we opened our sanctuary. They all came from rescue situations. They have a great life with acres to roam. They greet everyone that enters the property. They are very in tune to those fearful of dogs, and spend extra time pestering those people until they get a belly rub. They guard the sanctuary from predators, and recognize all of the residents as their family. 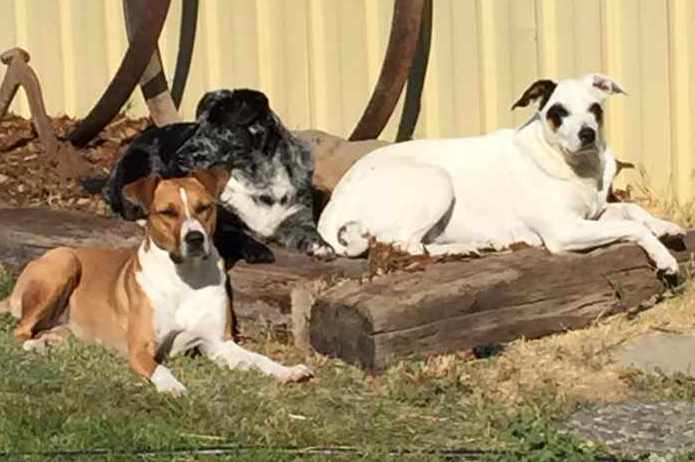 We are not currently taking any dogs due to the risk of bringing an unknown dog on the property that might possibly injure any of the many farm animals. We do help where we can and offer a regional resource list. 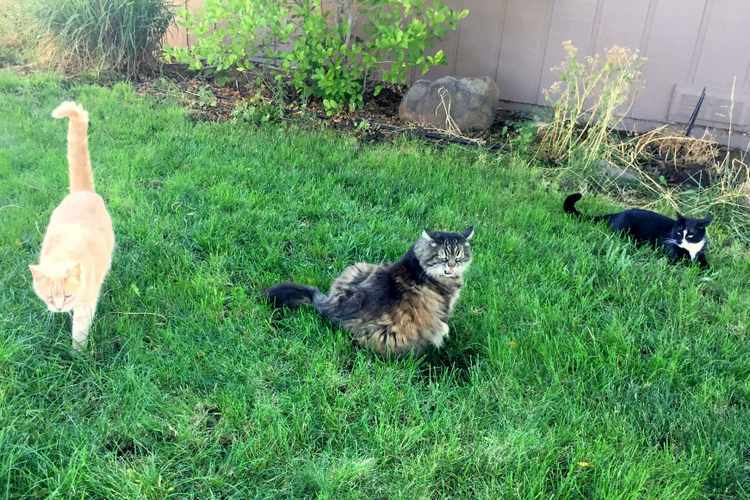 Noble Animal Sanctuary is home to seven house cats, and several feral cats that frequent the barn. The oldest cat is 17, and the youngest is a just over a year. They all came from rescue situations. We love their playful spirit around the farm. We get calls and emails about cats and kittens needing homes every week. We are not currently taking in more cats, but offer a list of local resources for those needing help. One of our future projects is a building devoted just to cat rescue where injured, abandoned and neglected cats can be rehabilitated, and adopted out. Cats with special needs would live their lives with the healthcare and companionship they need. We will also offer trap, neuter, and release program for feral cats.